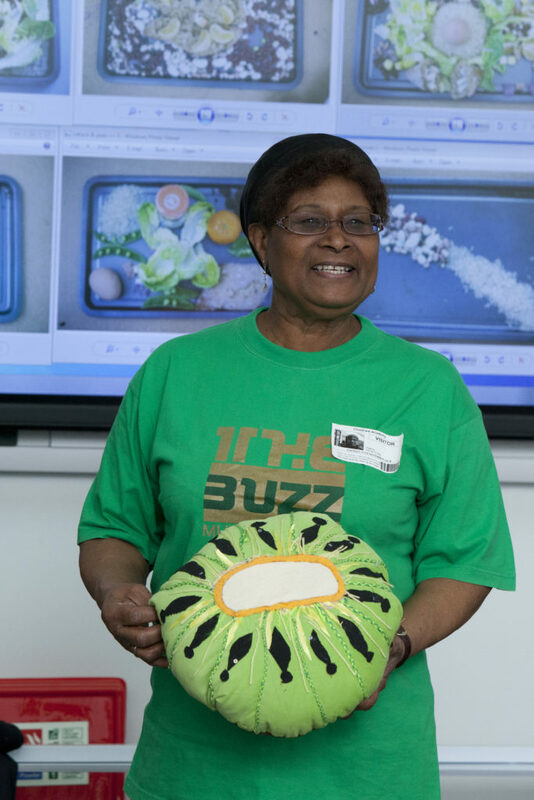 The project was designed to provide the opportunity for different generations in Stratford to meet and share ideas, by making art and creating a cookbook. 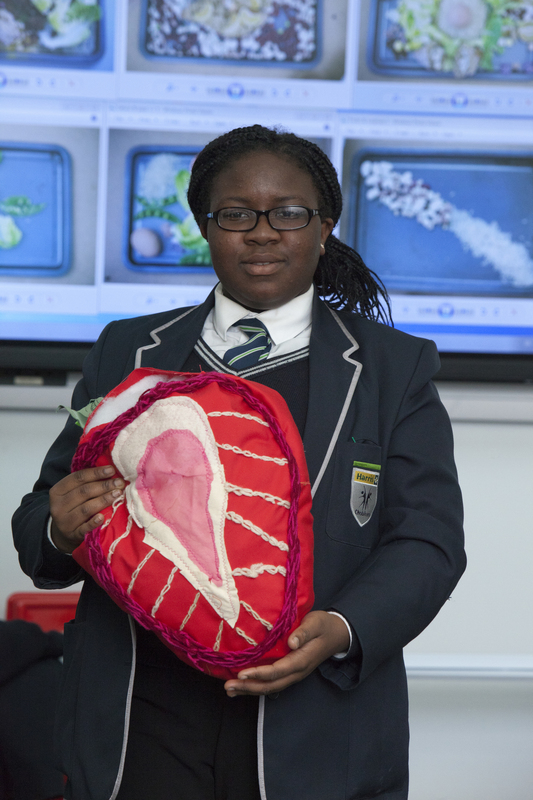 From September to December 2014 a group of year 9 pupils from Chobham Academy in Stratford and ten local people aged 55+ worked together with Magic Me artists to cook, make art and create a cookbook. The sessions have given us opportunities for finding out about each other. It’s nice to have that interaction with the young ones. The project was designed to provide the opportunity for different generations in Stratford to meet and share ideas. During their weekly sessions in the group learned new skills, using drills and saws to make giant kebabs and needle work to make fruit shaped cushions. Other weeks they were in the kitchen coming up with new recipes, teaching their own recipes to the rest of the group and experimenting with new ideas. The Recipes for Success recipe book brings together the group’s work, displaying the artwork, stories and recipes that were made and shared. Recipes in the book include Nasreen’s chapatis, which she has been making since she was a child, butterfly cheese scones, and ‘Around the world chicken’ inspired by Sarah, Mohammed and Mohammed’s family influences from Mauritius, Somalia and Bangladesh. Funded by Chobham Manor LLP, a joint venture between homebuilder Taylor Wimpey and L&Q, one of London’s largest residential developers, to build the first new neighbourhood on Queen Elizabeth Olympic Park, the project gave participants a space to explore themes around culture and identity, and to share their stories and experiences of their local area. Newham has changed a lot in the past few years and it is important that different generations have a space to reflect on this together, sharing their stories and thoughts on the local area with each other. At Magic Me we aim to enable these types of conversations through creative activity. We are very proud of the Recipes for Success project as it encapsulates our aim to foster a strong and cohesive community around our Chobham Manor development. 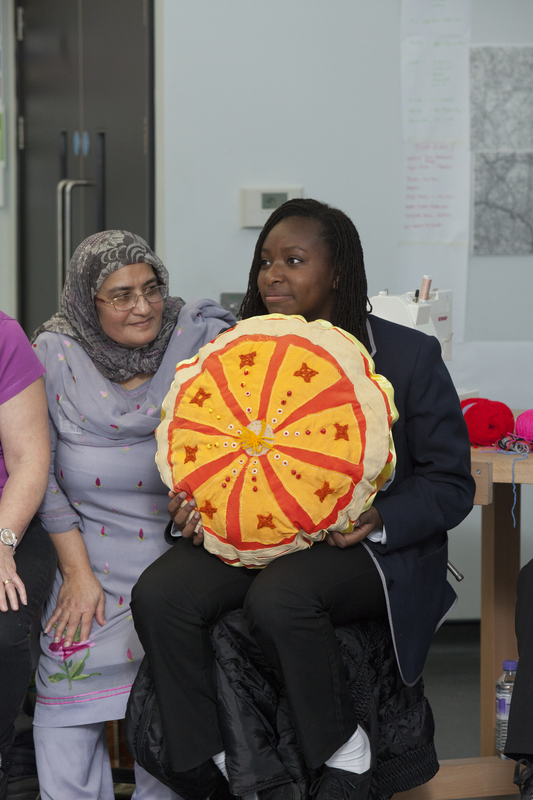 Together with our partners we will continue to invest in the area’s valuable social fabric, bringing people together of all ages and backgrounds to ensure a bright legacy for Queen Elizabeth Olympic Park.